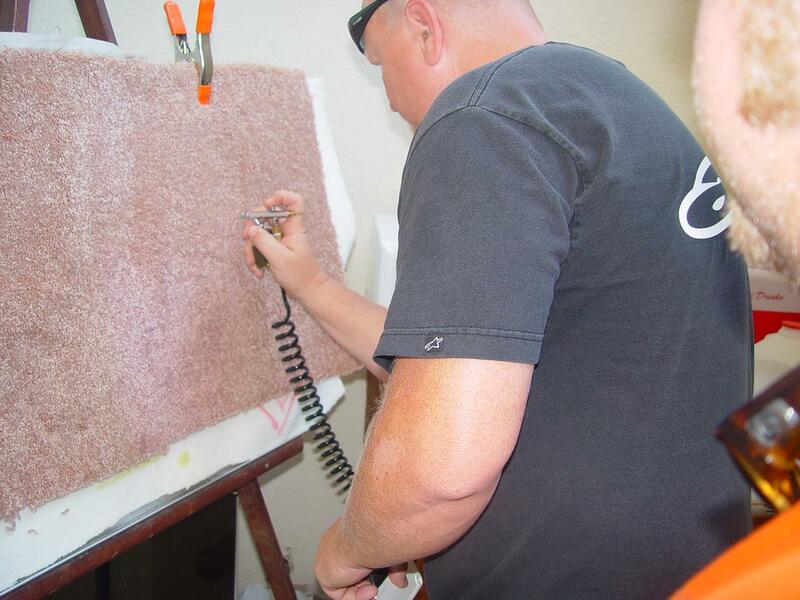 Color Repair Technician Carpet and fabric dyeing. 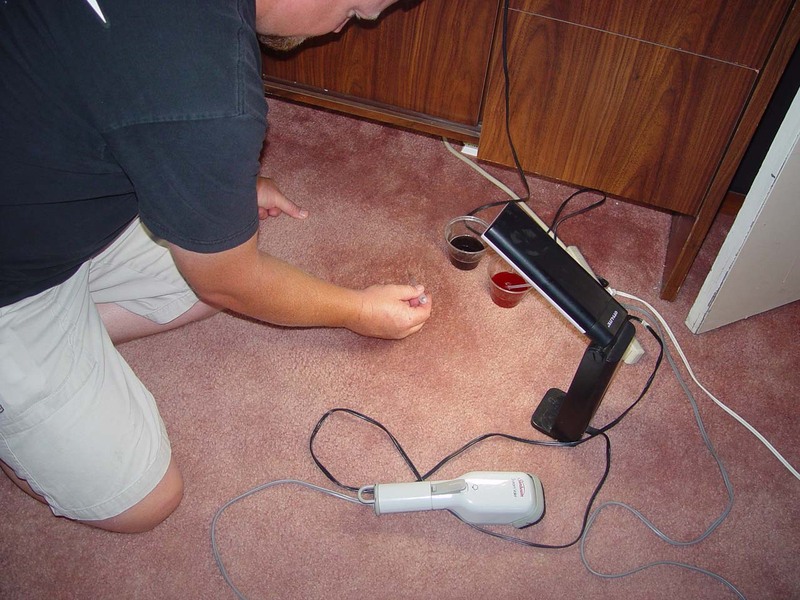 Color mixing & Bleach spot preparation. Applying color. 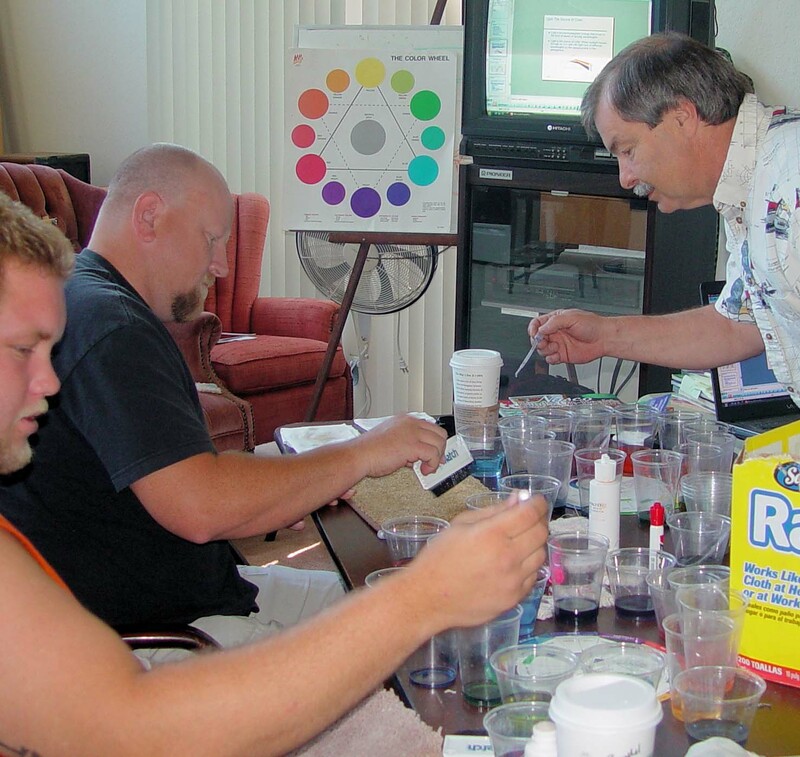 Color theory using two different methods of dye loss color matching.